Modal®, a special ingredient that gives clothes and underwear great wearability and comfort. It is the world's first fiber derived from 100% beech wood coming exclusively from forestry regulated by standards and grown using sustainable methods. It is produced by the Austrian company Lenzing, owner of the Modal® brand with Edelweiss processing technology, based on innovative processes based on oxygen and CO2 Neutral, which contributes to reducing the consumption of energy and water. Both cellulose and fiber production respect the principle of sustainability. Being substances that can be valorised, the by-products that result from the production process are then resold. One example is xylose, which is subsequently used for the production of sweetener. 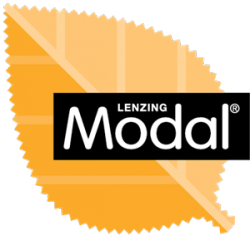 A Lenzing owner of the Modal® brand has been awarded the "European ECO-Label" award, which confirms that the fiber is completely free of chlorine and toxic substances and consists only of sustainable forestry wood. The smooth surface of Modal® fiber and therefore the fabric prevents the deposit of minerals during washing and therefore hardening even after many washes and guarantees the longevity of the fabrics. Briefs for women and girls, in Modal® and cotton, basic model, for every day, almost invisible under clothes, with a second skin effect. You can forget about it: the modal and cotton fabric is enveloping and soft. The fibers are completely natural - the modal is derived from the beech - so you will not have any annoying synthetic component in contact with the skin. To make them more comfortable, the elastic is also inserted in the outer seams, not in direct contact with the skin. Also recommended as a comfortable and invisible maternity brief under clothing. Briefs for women, in Modal® and cotton, basic model of medium height for every day: simple, comfortable, enveloping, almost invisible under clothes, with a second skin effect. You can forget about it: the modal and cotton fabric is enveloping and soft. The fibers are completely natural - the modal is derived from the beech - so you will not have any annoying synthetic component in contact with the skin. To make them more comfortable, the elastic is also inserted in the outer seams, not in direct contact with the skin. Bra in Modal® essential and elegant characterized by an extraordinary softness, a natural adherence to the body. The breathable characteristic of the fiber also prevents the formation of bacteria making them extremely pleasant to wear. You will not even seem to have them on! Briefs for women, in Modal® and cotton without elastic, fabric only. Designed and carefully designed, especially for those with very delicate skin. Instead of the usual stitching, the edges were made with double fabric. To the touch, the modal and cotton fabric is enveloping and soft. The fibers are completely natural, with a minimal synthetic component, but which remains completely covered by the fabric. A second skin effect. Here is the invisible Brazilian, a simple, comfortable, enveloping woman's briefs. You can forget about it: the Modal® fabric and cotton is enveloping and soft, and the thin seam behind, which leans delicately between the buttocks, prevents the underpants "mark" and see from above the clothes. The fibers are completely natural - the modal is derived from the beech - so you will not have any annoying synthetic component in contact with the skin. Not even the elastic will give you problems, because inserted in the seams and only in the front; that's why this Brazilian is so comfortable. A real second skin! You can wear this body in many ways: as under-jackets, as t-shirt or as underwear. Above all it is perfect for guaranteeing comfort and freedom of movement. It is very elastic and adheres to perfection, without pulling or wrinkling. To the touch, the modal and cotton fabric is enveloping and soft, completely natural, with a minimal amount of elastic component, so it has the right consistency to be pleasant to wear at all times. Boxer for men, in cotton and bi-elastic modal. Wear it and don't feel it: this is the feeling you get when you dress this boxer. The cotton fabric is soft and velvety to the touch. These fibers are completely natural, with a minimal part of the elastic component: the modal, is a natural product, derived from the cellulose of wood. Tank top in MicroModal® for women, to the touch is soft, silky, fresh. The fabric is worked in tubular, ribbed: this tank top has no side seams, therefore wrapping the forms with particular flexibility. The fiber is completely natural - the modal is derived from the beech - and gives a second, very soft, leather effect. Micromodal certified Oeko-Tex Standard 100. Composition: 88% Modal (microfiber), 6% elastane, 6% polyamide. A classic elastic and comfortable brief: also great for sports. It's really like not wearing them! Do you know what makes this fabric so soft? The microfiber modal component. Modal is not a synthetic fiber: it is a natural component derived from cellulose, that is wood. 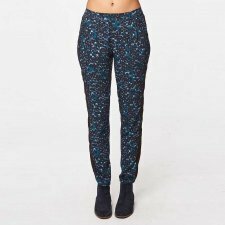 An external elastic has been applied to the waist, designed to be comfortable and not too tenacious: it adheres perfectly to the body without being annoying. Singlet for woman and girl, narrow shoulder with sweetheart neckline, and with the shape of the cups on the breast. Modal® and cotton model with an excellent fit and care in the seams, the shoulder strap is elastic and a very soft elastic band has been inserted in the under-breast line. To the touch, the modal and cotton fabric is enveloping and soft, completely natural, with a minimal amount of elastic component, so it has the right consistency to be pleasant to wear at all times. Women's Singlet Vest with the precious and sexi effect of the lace on the breast. The lace is elastic, slightly opaque and very soft to the touch, and especially upside down, on the most important part, the one in contact with the breast, just to give you maximum comfort. The lower part is in Modal® and cotton, softly wraps the body and adheres to perfection. To the touch, the modal and cotton fabric is enveloping and soft, completely natural, with a minimal amount of elastic component, so it has the right consistency to be pleasant to wear at all times. You can wear this tank top in many ways: as under-jackets, for sports or as underwear. Above all it is perfect for guaranteeing comfort and freedom of movement. It is very elastic and adheres to perfection, without pulling or wrinkling. To the touch, the modal and cotton fabric is enveloping and soft, completely natural, with a minimal amount of elastic component, so it has the right consistency to be pleasant to wear at all times. Wide shoulder body in Modal® pleasantly adhering to the body and comfortable on the skin with hook closure. Extremely soft, breathable and with a simple, modern and essential design. A garment much loved by women for its comfort to wear in all seasons. Warm in winter as underwear and cool in summer as a top. Cute also as a gift for a friend! 92% micromodal (fiber from beech tree) - 8% elastan. Brazilian Briefs in Modal®, comfortable and feminine, characterized by an extraordinary softness, by the natural adherence to the body and by the absence of the elasticated waist to give greater well-being. The breathable characteristic of the fiber also prevents the formation of bacteria making them extremely pleasant to wear. Modal® underwear with a classic, essential and elegant cut characterized by an extraordinary softness and by the absence of an elastic waistband to give greater well-being. The breathable characteristic of the fiber also prevents the formation of bacteria making them extremely pleasant to wear. Modal® tank top, vegetable fabric derived from beech wood, light, soft, breathable. Essential design, naturally adherent to the body, medium shoulder pads and length up to the waist. The feeling it gives is that of softness and well-being, like a second skin, for a garment to wear all day long.